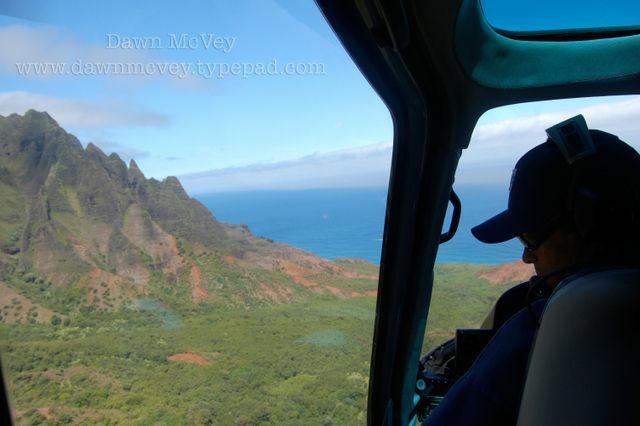 This is from our back seat view inside the helicopter, flying over Kauai. Just getting ready to head around those mountains and fly along the Na Pali Coast. SOOOOOOO amazing!